As an internationally renowned professor in the Departments of Chemistry and Molecular and Cell Biology at U.C. Berkeley, Doudna and her colleagues rocked the research world in 2012 by describing a simple way of editing the DNA of any organism using an RNA-guided protein found in bacteria. This technology, called CRISPR-Cas9, has opened the floodgates of possibility for human and non-human applications of gene editing, including assisting researchers in the fight against HIV, sickle cell disease and muscular dystrophy. 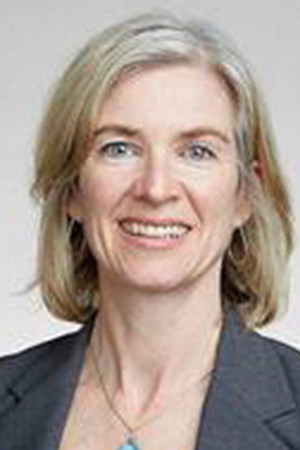 Doudna is an Investigator with the Howard Hughes Medical Institute and a member of the National Academy of Sciences, the National Academy of Medicine, the National Academy of Inventors and the American Academy of Arts and Sciences. She is also a Foreign Member of the Royal Society, and has received many other honors including the Breakthrough Prize in Life Sciences, the Heineken Prize, the BBVA Foundation Frontiers of Knowledge Award and the Japan Prize. She is the co-author with Sam Sternberg of “A Crack in Creation”, a personal account of her research and the societal and ethical implications of gene editing. 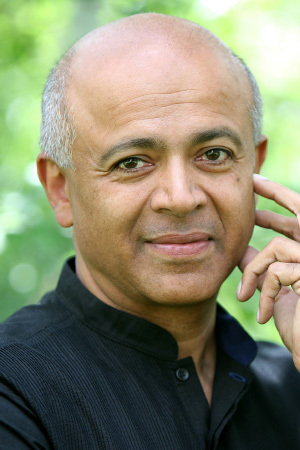 Dr. Verghese is a nationally bestselling author and a prominent voice in medicine with a uniquely humanistic view of the future of healthcare. He received the National Humanities Medal from President Obama, “for reminding us that the patient is the center of the medical enterprise.” His memoirs and novels on medical themes have sold millions of copies, topped bestseller lists, and earned major movie deals, while his New York Times articles arguing for greater focus on the physical patient have made waves in the medical community. His warmth and vision as well as his world-class gifts as a storyteller make him a powerful speaker both to healthcare professionals and the patient in all of us.